You would not think to look for St Michael unless you knew. These days, a concrete track runs across a nearby field, and approaches the church through the woods at the rear. But even then, the building is hidden from view, and you might easily miss the turning if it wasn't for a sequence of hand-lettered signs. Better, perhaps, to reach the tight little graveyard across the fields - after all, that's been the way for the last 1000 years or so. There is no village to speak of, and the parish is a scattering of hidden lanes without any focus, a patchwork of woods and farms. Mind you, St Michael hasn't always been as hidden as it is now, because for several centuries, it was an estate church, in the grounds of Boulge Hall. But the Hall was demolished in the 1950s; much of the grounds were turned over to cultivation during World War II, and only the copse of ancient trees marks out this space among the fields, and the tower seen from the Debach road. And yet, St Michael receives many visitors. 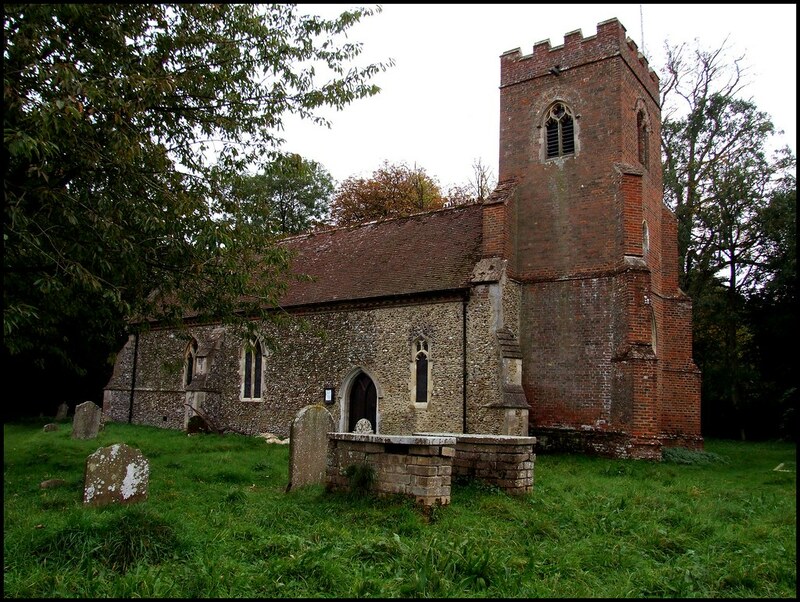 Not because this is one of Suffolk's most beautiful churchyards, not because the church contains one of only ten black Tournai marble fonts in England (another is in Ipswich St Peter, two of the others at Lincoln and Winchester Cathedrals). No, Boulge's fame rests on the memory of one person - or, more accurately, two. For at Boulge Hall in the 19th century lived the Fitzgerald family. Their name is everywhere in the church; they virtually rebuilt it. Their huge mausoleum, for many years on the Buildings at Risk register, has been restored, and broods magnificently beneath the tower. But it is one of the Fitzgerald sons not even buried in the mausoleum who is the goal of so many pilgrimages. Edward Fitzgerald was born at adjacent Bredfield. He moved to Boulge Hall when his parents bought it, and then spent most of his adult life living in Woodbridge, where a museum documents his life in some detail, although generally glossing over certain aspects of his life. In 1859, he translated the Rubiyat of Omar Khayyam from the Persian, thus establishing himself as responsible for one of the most famous, and enduring, pieces in English literature. He died in 1883, and was buried here. If you flick through the visitors book, you will find members of the Edward Fitzgerald society who have made their way here. But you will also find members of the Omar Khayyam society, and this is the only Suffolk church visitors book where I have seen an entry in Persian. Fitzgerald is buried in his own grave, beside his family's mausoleum. The gravestone is long and sombre, typical of the period. A rose bush at the head of the grave is supposed to come from a cutting taken from Omar Khayyam's grave in Iran. It was planted by the Omar Khayyam society, and one assumes that cuttings are regularly taken from it in turn by visitors. Fitzgerald is probably second only to Benjamin Britten in his fame as a creative artist from this part of Suffolk. If Britten's homosexuality was barely acknowledged in his lifetime, you can bet that Fitzgerald's wasn't at all. But for both of them, their sexuality seems to have been an important part of their genius, and in recent years Fitzgerald's friendship with a Lowestoft fisherman has been movingly documented. Apart from the tiny 16th century tower, completed on the eve of the Reformation, the exterior of the church is thoroughly 19th century; tidy and tight, and rather sweet. It conceals one of the most atmospheric Victorian restorations in East Anglia. As you approach, the apparent south door is, in fact, the vestry door, and you must go around to the north side, where you can step through a door in the north wall directly into the tiny nave. I have never found this door locked. On a sunny day, this is a step into almost complete darkness, as your eyes struggle to adjust. 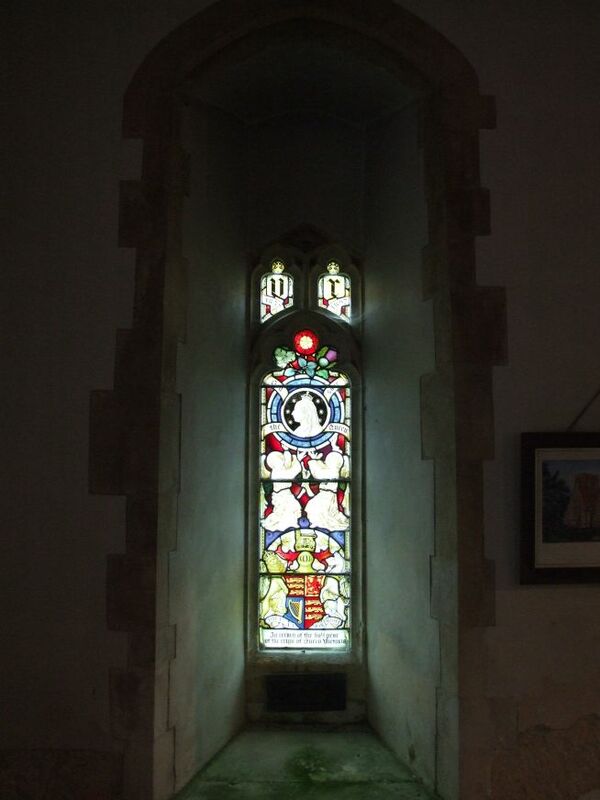 The small windows are full of thick late 19th and 20th century coloured glass of the highest quality. Just about every window is filled. Subjects include the archangels St Michael and St Gabriel, St Faith and St Nicholas, Christ flanked by St Edmund and St Felix, the Annunciation, the Baptism of Our Lord, and, somewhat strikingly, Queen Victoria. 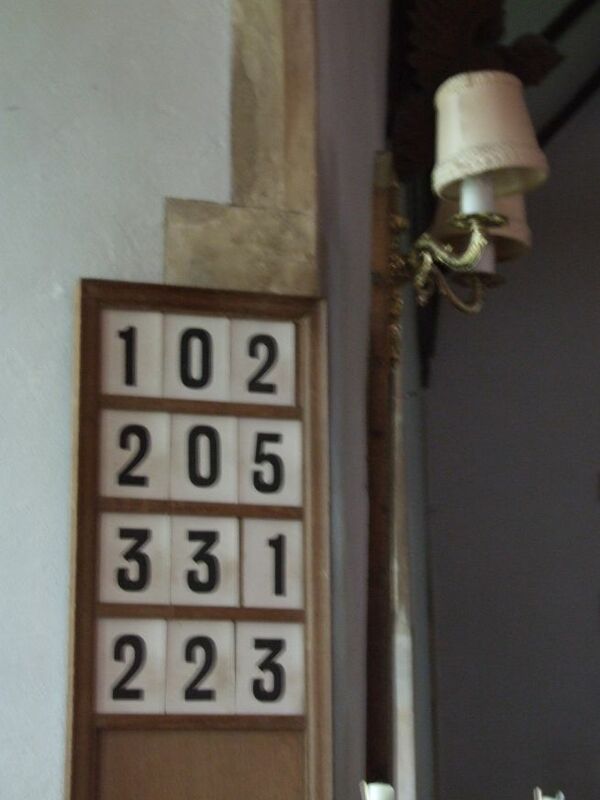 The overwhelming impression is of a peculiarly East Anglian Anglo-catholicism. 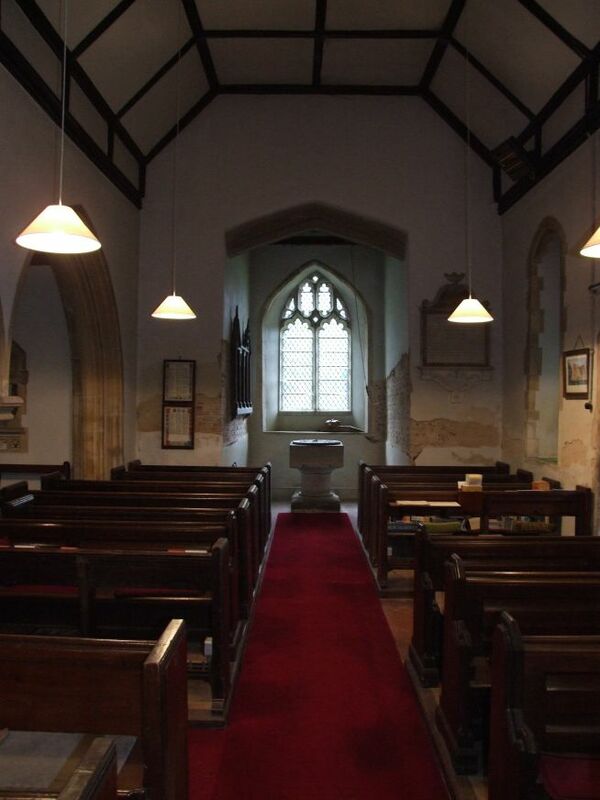 It is probably the best single collection of its kind in any small church in the two counties. The famous font, primitive and brooding, quite different from that at nearby Ipswich St Peter, sits beneath the tower now, and the tower itself contains one of the bells rescued from the church of Mickfield when it was abandoned in the 1970s. 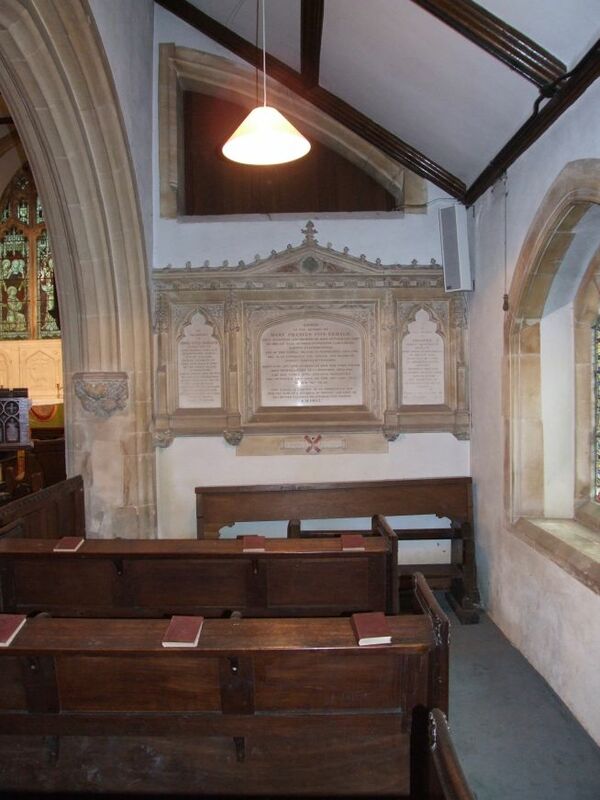 Its story is on the adjacent wall.The restoration is a fairly early one of 1858, by the Habershons. The church as you see it today is pretty much as Fitzgerald would have known it. Ahead of you as you enter, the south aisle is something quite extraordinary, virtually a family shrine to the Fitzgerald family. 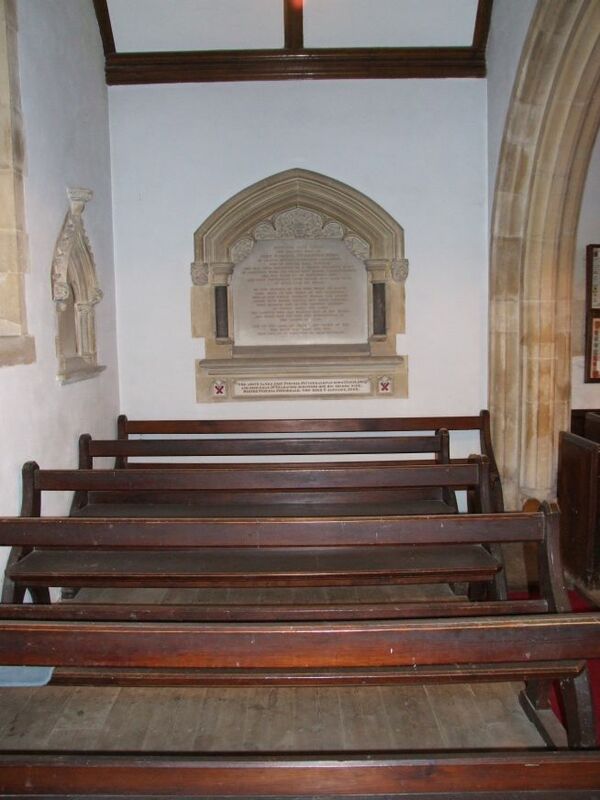 The family pew is surrounded by memorials to family members, children, cousins, grandchildren remembered in pious stone and glass. It is a remarkable achievement for what was not a great landed family. What makes it all the more extraordinary is that, within a few years of its completion, the Fitzgeralds of Boulge had completely died out.To stand here now is to be surrounded by the influence of a landed family at a moment in history when, in an act of extreme piety, they could ensure their place in posterity. Anyone who loathes late-Victorian sentiment will not easily forgive them for this; me, I think this a marvellous place, that will be remembered by most visitors for a very long time.